Ready, set, shop! China's bargain-hunting shoppers spent billions Wednesday, smashing records on "Singles' Day." The annual online shopping festival -- China's version of "Cyber Monday" -- is the biggest single day of shopping anywhere in the world. Within the first eight minutes, customers had spent $1 billion on Alibaba's (BABA) popular shopping platforms, Taobao and Tmall. By the end of the day, gross merchandise volume settled through its payment service, Alipay, hit $14.3 billion, breaking last year's tally. Numbers climbed rapidly as shoppers bought refrigerators, dresses, purses, groceries and more. Sales on this day routinely exceed Black Friday and Cyber Monday sales in the U.S.
Singles' Day in China began as a clever counter to Valentine's Day. It takes place each year on Nov. 11 -- or 11/11, which represents four single people. Originally, lonely singles were encouraged to pamper themselves and other unattached friends by going shopping for gifts. Now, it's morphed into a crazy shopping bonanza that rakes in piles of cash for brands and retailers, both big and small. This year's blowout featured more than six million products from 40,000 merchants and 30,000 brands from 25 countries on Alibaba's shopping platforms. Other online platforms, such as JD.com (JD), also got in on the game, with international brands and retailers, including Macy's, Costco, Apple and Nike, offering deals on everything from sneakers to smartphones. The 24-hour sale is expected to generate 760 million parcels for delivery, or 40% more than last year, China's postal bureau estimated. Many delivery services hired thousands of temporary workers to ease the burden. Huge signs advertising promotions started popping up last month. Some shoppers prepped far in advance to make sure they could get their hands on the best deals. Miao Chunlei, a musician for the Peking Opera, said she spent weeks window-shopping online, comparing prices and filling up her virtual shopping cart, so that she'd be ready to buy the minute the clock struck midnight. She planned to spend about $140 on Alibaba's Taobao platform, even though she was disappointed some retailers weren't offering cheaper deals. "A pair of shoes I'm looking at is only 30 yuan ($5) cheaper than the original price," she said. Shoppers weren't the only ones competing for the goods. China's e-commerce firms also gear up for the big day, and compete with each other over final sales tallies. But some experts have said that the one-day shopping blowout is gradually having less of an impact on China's online sales. 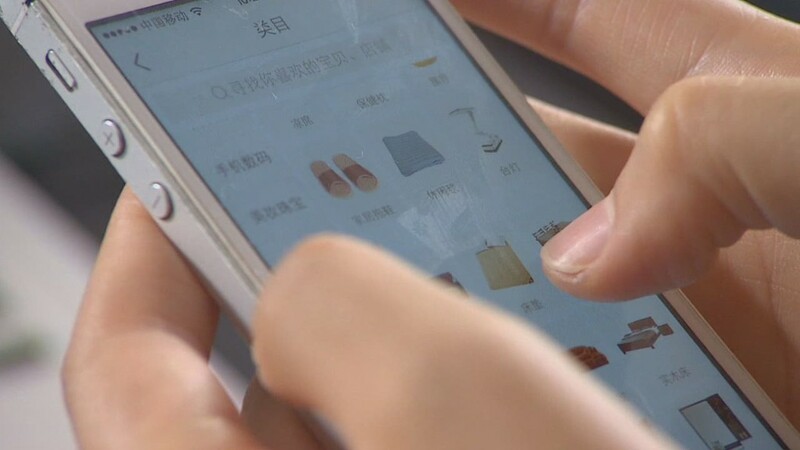 As more Chinese go online, Internet shopping is becoming a regular event, rather than a special occasion.